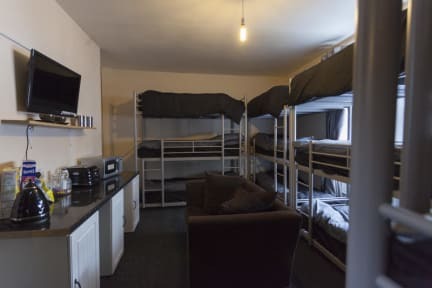 Fenham Hostel Express v Newcastle upon Tyne, Anglie: Zarezervujte nyní! WITH IN 3 DAYS OF MAKING BOOKING GROUPS WILL BE CHARGED FULL AMOUNT OF STAY! 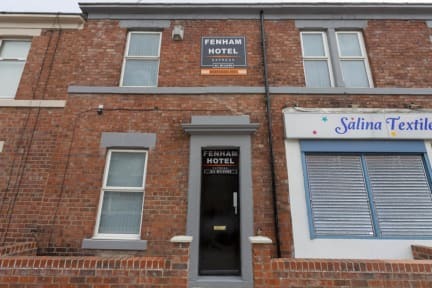 Fenham Hostel Express St. James’ park is 1.5 miles away and Metro Radio Arena is 1.3 miles away from this centrally located property, and the A1 is a 5-minute drive away. The Metro centre, housing a number of shops, bars, restaurants and a cinema, is 3 miles away and the Quayside, home to a variety of trendy bars, is just 2 miles away. St James’ Park, the ground of Newcastle United Football Club is a 6-minute drive from the property and the famous Angel of the North is an 8-minute journey by car. Every room is provided with its own flat-screen TV, unlimited free WiFi as well as tea and coffee making facilities.All guests have access to free, street parking as well as the hotel's other facilities at any time, day or night and the hotel's 24-hour receptionist will be happy to offer assistance.We speak your language!